Featuring sophisticated colors of smoke and black, this toasty cold-weather accessory is knit from 100% alpaca wool, featuring braided motifs that circle the crown. Working from the Andean highlands, Peruvian artisan Alfredo Falcon designs this hat. Artfully crafted by Alfredo Falcon from Andes. "This makes us a family entirely devoted to the world of textiles, and we have been for generations." "I was born in the capital of Peru on August 7, 1968. When I was but a small child I learned from my parents the best weaving techniques – like me, they had learned them from their own parents. This makes us a family entirely devoted to the world of textiles, and we have been for generations. 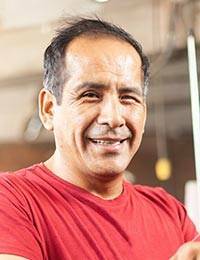 "Nowadays I combine weaving by hand and on classic machinery, remaining true to Inca and colonial motifs. I would like for the world to receive through my work high quality products, with modern colors and traditional motifs. "I hope you enjoy them! 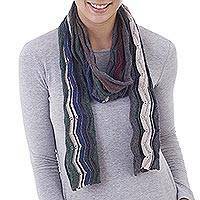 "I have been working with Novica for seven years. My workshop is located in the district of Huaycan, a place of refuge for many immigrants who fled central Peru during the times of terrorism. Before collaborating with Novica, I had a small workshop in an industrial park that the government gave me on credit, a place where small producers could work with dignity. It wasn't properly roofed, and its production capacity was limited. I designed and made clothing. "My market was limited to a few local shops, and to a single small foreign client who purchased my work from time to time. 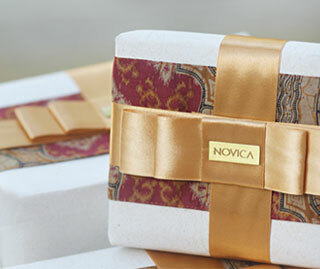 After joining Novica, my sales increased significantly, and my workshop began to undergo an enormous change. I purchased better tools and materials. My production capacity has grown tremendously, and my work has gained considerable popularity. This recognition has permitted me to promote my work in new markets, as well. But Novica will always remain my preferred customer. "Thank you very much my friends." Only valid on the Normal shipping option for shipments to 48 Lower US states. Discounted shipping price may not be applied to previous orders. This item ships with a free artist storycard, so you can remember who you impacted today. Customized gift messages are also available with every order. We want you to be 100% satified with your order, so if you are not completely happy with your item, you can return it within 60 days of receiving it. We pack, ship, certify and 100% guarantee the quality of this item. Watch this video to see how. This item is available for backorder and will ship within 8 to 12 weeks. Artists love to get backorders. Placing a backorder ensures that the artisan will do their best to create and deliver your item to our local office for shipment. Although we cannot guarantee availability, we do expect to be able to fill the order within the timeframe indicated. 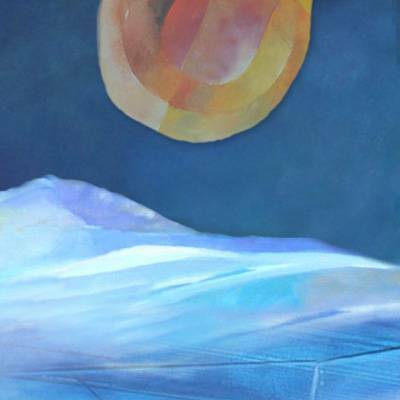 But sometimes life happens - special materials may not be immediately available to the artist, or there might be some other circumstance beyond our control that could delay the shipment. If for any reason we are unable to ship the item within the timeframe indicated, we will notify you. 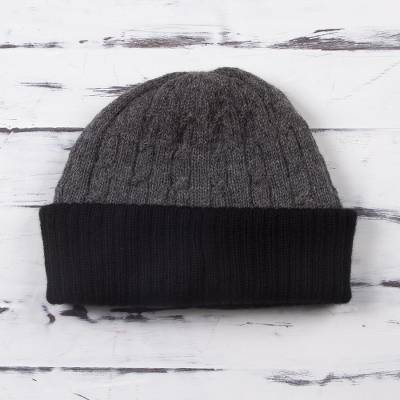 In the unlikely even that we are unable to ship the item within the timeframe indicated, we will contact you and provide an updated delivery window. This item has a special shipping flat fee which means that due to bulk, duties, or other special requirements, the item will be shipped to you via one of our special one-rate services. Shipping is only available to the United States (lower 48 States only). Take your measurements with the tape measure over your under garments. 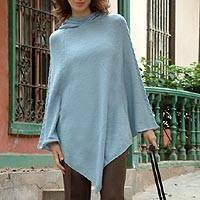 If your measurements fall between sizes you may prefer the next larger size. Inseam, skirt and dress lengths vary by style and will be listed in the item description. 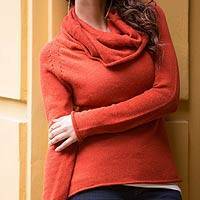 Our sweaters are knit in standard American sizes, however actual measurements vary by style. Measure around the fullest part of chest under the arms and over the shoulder blades keeping the tape measure level. Measure around the smallest part of the waist keeping the tape measure comfortably loose. Most garments use the low waist measurement noted below. Measure around the body approximately 1.5" below the natural waist (above). This is the area where most pants and skirts actually fit. Standing with your heels together, measure around the fullest part of the body approx 7"-8" below the waist. Measure around the base of the neck keeping the tape measure comfortably loose. Bend elbow slightly and starting at the center back of the neck, measure across the shoulder, to the elbow and down to the wrist. Our standard inseam length for women is 32" and 34" for men; however inseam measurements will vary slightly by style. Download our printable ring sizing chart to find the perfect fit! We refer to these items as "discounted wholesale". Such items carry a deeper wholesale discount than other items, and have greater potential to provide your business with healthier resale margins. 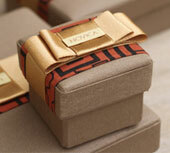 Turn your gift-giving into an art form with our new premium gift wrapping service! Delivering a beautiful handmade treasure, wrapped by hand in exquisite packaging will make your gifts truly unforgettable. Above all, it's EASY! 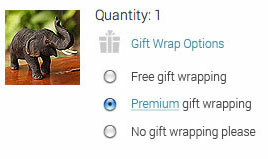 Just select the premium gift wrapping option during checkout and we do the rest. No more last minute worries about presentation - your gifts will be the best dressed every time! Most premium gift wrap is only $3.95 - $5.95 per item. Go premium for jewelry gifts! UNICEF Market offers triple win pricing, where YOU the consumer, Children from around the world, and Artisans all benefit. WIN # 1 You Save! Handmade goods from developing nations usually pass through a series of intermediaries before being purchased by retail consumers. Each of these intermediaries adds cost to the product, and that cost is passed on to the customer. 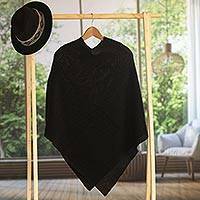 UNICEF USA partnered with NOVICA, who works directly with artists through their regional offices in Asia, Africa and Latin America, allowing purchases from UNICEF Market to go directly from the artisans to fulfilling customer orders. By skipping steps in the traditional supply chain, you can buy high quality items for less than the regular retail prices. WIN # 2 Children Benefit! Each item purchased from UNICEF Market will benefit UNICEF's programs that provide lifesaving nutrition, medicine, education, clean water, emergency relief and more to children in need. You can learn more about UNICEF's work, on About UNICEF. WIN # 3 Artisans Profit! UNICEF Market artisans set their own prices and control their own businesses. UNICEF Market offers artisans a free platform to sell their work throughout the United States. This item was handmade in The Andes. UNICEF helps support schools in Peruvian villages in the Amazon, where these children are classmates.